Mining operation combine tools, methods, and knowledge to locate, extract, and process mineral and metal deposits in the earth. The methods used to locate ore bodies range from on-the-ground reconnaissance by prospectors to remote sensing techniques such as satellite imagery. Mine excavations take place either on the surface or underground. Mining is a massive undertaking and each mine is practically unique. However, technology is playing a greater role to achieve economies of scale by streamlining and generilizing processes. Most people are familiar with the term Information Technology (IT) which covers the entire spectrum of technologies for information processing, including software, hardware, communications technologies and related services. However, IT does not include embedded technologies that do not generate data for enterprise use. That’s where Operational Technology (OT) comes in. Operational Technology (OT) is hardware and software that detects or causes a change through the direct monitoring and/or control of physical devices, processes and events in the enterprise. Systems that process operational data (including electronic, telecommunications, computer systems and technical components) are included under the term operational technology. OT systems control valves, engines, conveyors and other machines to regulate various process values, such as temperature, pressure, flow, and to monitor them to prevent hazardous conditions. OT systems use various technologies for hardware design and communications protocols, that are unknown in IT. OT systems administer industrial processes, high availability is very important. For smooth operation, real time or near-real time processing is required, with high rates of reliability and availability. Mining environments contains a lot of specialized and specific Industrial Control Systems (ICS). Example of ICS are Supervisory Control and Data Acquisition (SCADA) systems, Distributed Control Systems (DCS), Remote Terminal Unit (RTU) and Programmable Logic Controllers (PLC) as well as dedicated networks and organization units. These are all examples of OT. An OT device could be as small as the ECU of a car or as large as the distributed control network for a national electricity grid. During the last decades, most industries have developed and managed OT and IT as two different domains, maintaining separate technology stacks, protocols, standards, governance models and organizational units. IT and OT played different roles, sometimes even within the same organization. However, with the emergence of the Internet of Things and the integration of complex physical machinery with networked sensors and software, the lines between the two technology are blurring. Gartner predicted the integration of OT and IT back in 2011 (http://www.gartner.com/newsroom/id/1590814). 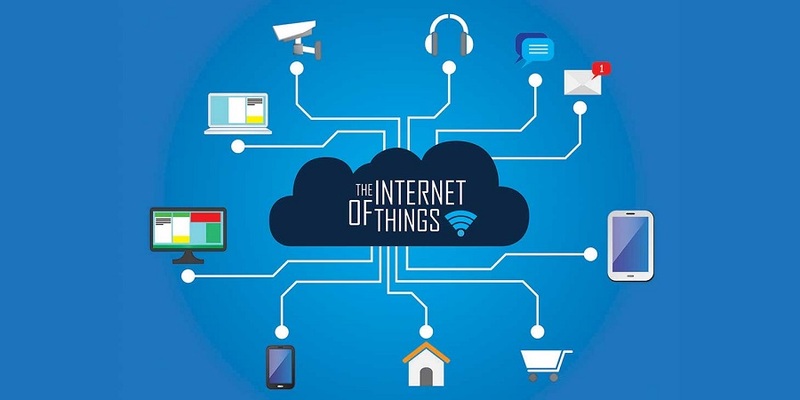 The Industrial Internet has started to become more mainstream and plug into general Internet connections, as opposed to the historically closed systems that relied more heavily on physical security to ensure integrity. With this shift from closed to open systems comes an even greater interdependence and overlap between the two teams and a slew of new security concerns. Over the last few years, OT has started to progressively adopt IT-like technologies. IP (Internet Protocol) is gaining acceptance as an all-purpose networking protocol and Linux is increasing it’s presence in a wide range of devices every day. The convergence of IT and OT will bring clear advantages to companies including cost and risk reductions as well as enhanced performance and gains in flexibility. People started realizing that information is power. A decision is much accurate if that is backed up by historical trends. You can make informed decisions if you can predict the future by analyzing past data. Industrial systems and appliances are being brought online so data can be gathered and analyzed and provide useful analytics. Other benefits of IT/OT convergence is beneficial to companies in almost all industries, from mining to manufacturing to telecommunication and utilities. The benefits are different for each sector in type and also volume. Usually, the expected benefits will be more significant in businesses where there have already been large investments in OT, for example manufacturing and transportation. Nevertheless, there will be common benefits found across all industries that strive to converge IT and OT, such as cost reduction, Increased efficiency, Risk reduction, Flexibility. Actually, I should have used present tense, IoT is already is playing a big role in Mining and other industries, nobody is calling them IoT yet. Any solution that is doing something by connecting to the Internet (or even to private networks) are actually utilizing IoT. There are numerous examples of use of IoT in Mining today which is reducing costs, saving lives, increasing efficiencies. For example, Essar, the steel mining company is tracking all their vehicles locations, as well as positions of workers and equipment. This is saving them 5% on maintenance costs and 10% on fuel costs. Improved safety: Mining is a hazardous operation with harsh working conditions. Today, Mining companies are using different sensors to detect threats. For example, gas sensors are used for detecting presence of harmful gases like CO2 or lack of essential element like oxygen. Traditionally, these sensors are physically connected to an alarm system. The sensors send a signal to buzz the alarm when a preset event occurs. IoT enabled sensors can do much more like alert through SMS, email, sound, light at the same time to make sure the warning goes undetected. Also the data collected by sensors can be stored for further processing which can provide valuable insight. A rapid change in working condition can indicate problems ahead of time. For example, if the level of oxygen is decreasing, it gives an indication of possible problem before the disaster strikes. Predictive maintenance: Predictive maintenance is a big term in Aviation but it is equally important in Mining. Sensors and IoT technology helps mining industry move beyond reactive maintenance. Many mining operations have advanced past waiting for a breakdown before taking action. They are using sensors attached to assets, feeding real-time condition data into system which gives early warnings before the trouble can even begin. Increased efficiency: What gets measured gets managed properly. Object detection through ultrasonic, infrared or other means you can track movement of goods, people easily, This not only helps to detect problems but helps to make plans for increasing efficiency. Using the data, it is possible to track every aspect of mining operations, from pit to port. Time saving: IoT saves valuable time in developing and maintaining mine sites. Data collected before the initial digging ensures the process is managed correctly and with reduced risk. Some mining companies are already using Autonomous Drilling Systems that can operate without human intervention. Operating around the clock, this allows products to be extracted and processed in shorter time-frames. IoT is a team game with a lot of different players coming together for a common goal. Hardware manufacturers (sensors), software developers, platform provider, network providers all have to work together to harness the real benefits. Large companies like Cisco is promoting IoT for a long time and have some nice solutions. But he real innovative IoT solutions are coming from smaller but focused companies. These nimble and hungry companies have come up with some really nice solutions. IoT.nxt, Mezzanine Ware, NybSys, Vula Telematix, Fastnet, XLink all providing different aspects of IoT. 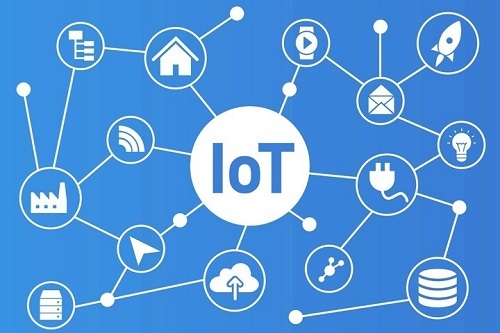 The unique feature of IoT is that it integrates easily into existing systems. Incremental implementation helps Mining operations realize the benefits without interrupting existing systems too much. The way it can benefit is truly unlimited. There are infinite ways IoT can improve any aspect of Mining, the only limiting factor is what we can think of, and that has no limit at all. IoT itself improves other industries but the rich ecosystem needed for IoT itself can generate a lot of jobs.